Jaunt is an AR platform, but their challenge wasn’t to excite customers or engage them with new technology. It was to build a brand that would entice content producers to want to partner with Jaunt to help take their content to a level of immersion they’d never before experienced. 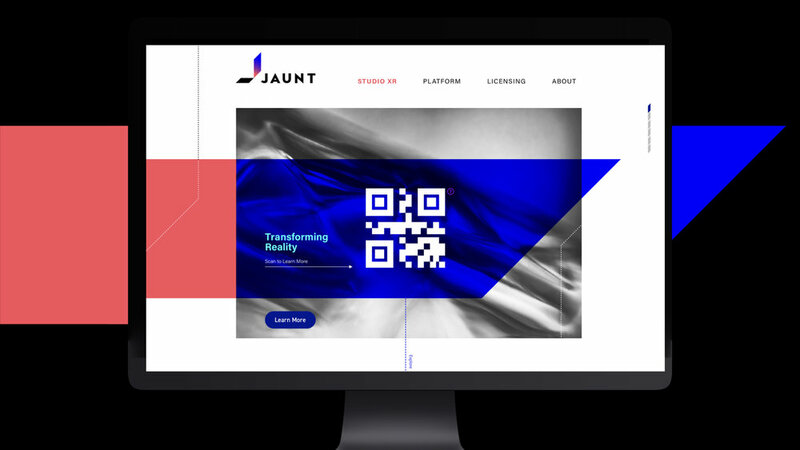 We realized that Jaunt didn’t simply need a new tagline or logo—they needed a brand platform that communicated what they’re really doing: creating “Transformative Reality.” From there, we not only created a logo, tagline and suite of assets, but also gave them a way to engage clients with the promise of trying something completely new.